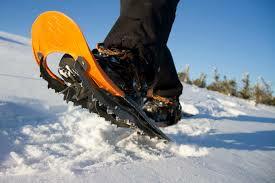 Come learn and experience snowshoeing! Instructors Ms. Furth and Ms. Biehl will take the students on an after school snowshoeing adventure at Carlos State Park. Students will meet in the gym and then go out to the parking lot to load onto the bus by 2:30 pm. Bring a snack and water bottle. Please have a ride ready for your student to be picked up at Carlos State Park by 4:30 pm.